Have a question for Blue Moose Apartments? 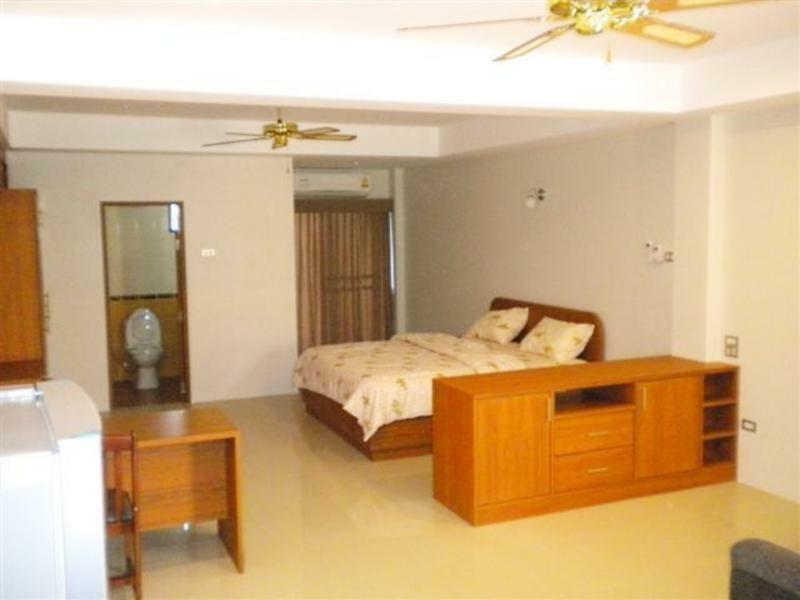 For travelers who want to take in the sights and sounds of Pattaya, Blue Moose Apartments is the perfect choice. The hotel lies from the city center and provides accessibility to important town facilities. Visitors to the hotel can take pleasure in touring the city's top attractions: Boon Sumpun Temple, Peterpan Steak House, Lek Thai Restaurant. Take advantage of a wealth of unrivaled services and amenities at this Pattaya hotel. To name a few of the hotel's facilities, there are free Wi-Fi in all rooms, Wi-Fi in public areas, car park, room service, restaurant. Hotel accommodations have been carefully appointed to the highest degree of comfort and convenience. In some of the rooms, guests can find non smoking rooms, air conditioning, desk, balcony/terrace, television. Besides, the hotel's host of recreational offerings ensures you have plenty to do during your stay. Blue Moose Apartments is an ideal place of stay for travelers seeking charm, comfort and convenience in Pattaya.